Seriously, is there anything more traditionally Chinese than watching the Super Bowl? They even made Chinese New Year the same day to celebrate. Kidding! 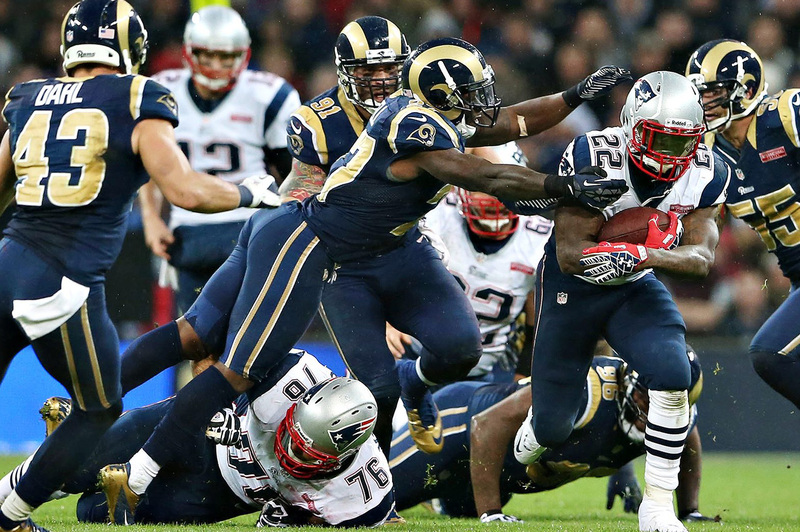 This year’s game will be the New England Patriots (again!) vs the Los Angeles Rams on February 4, and many places that would usually be empty during Chinese New Year will instead be packed with American football fiends, salivating over an oval "pigskin" (appropriate for the Year of the Pig!) being tossed and kicked across a long, green field while huge men ram into each other. Stimulating! Kick-off is at 7.30am Shanghai time. Here's where to watch it! Doors open at 6.30am, with free entry and a full brunch menu and drink deals available. Kick-off at 7.30am. Doors open at 6am, with the breakfast buffet on from 7am until the beginning of the second half. Tickets are 160rmb pre-sale or 200rmb on the door. No reservations; first come, first served for all tables and seats. This one is going to be huge, with Cages five million screens positioned in every nook and cranny of the sportsfan paradise. Free entrance with ala carte breakfast specials from 6am-11am that includes Super Bowl breakfast, pancakes, steak & eggs and more. Add 15rmb for a coffee or tea with any breakfast item. This one will probably be the destination of choice for those who remember its previous incarnation as The Big Bamboo. A Pudong get-together, the Kerry Hotel puts on a massive breakfast buffet (380rmb) for those who care as much about the poaching of their eggs as the sacking of the other team's quarterback. The party starts from 7am with a giant LED in the Shanghai Ballroom. Oh and there's free-flow house wine, beer and soft drinks. Email fbreservations.khpu@thekerryhotels.com for booking. The Spot will have three big screens and six flat screen TVs with English commentary and an American breakfast, including free coffee and tea. It's a low-key choice for those in and around the Jing'an area, but it's not free — entry to this party is 100rmb. Doors opens at 7am. Maybe the smallest venue on this list, and possibly the first to fill up, thanks to its free entry and deals on Bloody Mary's and Mimosas, which are obviously the first choice for manly men and the linebackers they aspire to be. CANCELLED. Stone will be screening from the CBS network on a wall projector. This one is also likely to fill up because men and beer go together like tape and belly button lint. Entry is 125rmb but that includes three 10oz pours of Stone core beers (or coffee, tea, or juice). Doesn't include food but you can order off their menu. Doors open at 7am.